Office 365: Adding multiple Planner Plans to an Office 365 Group (I)! 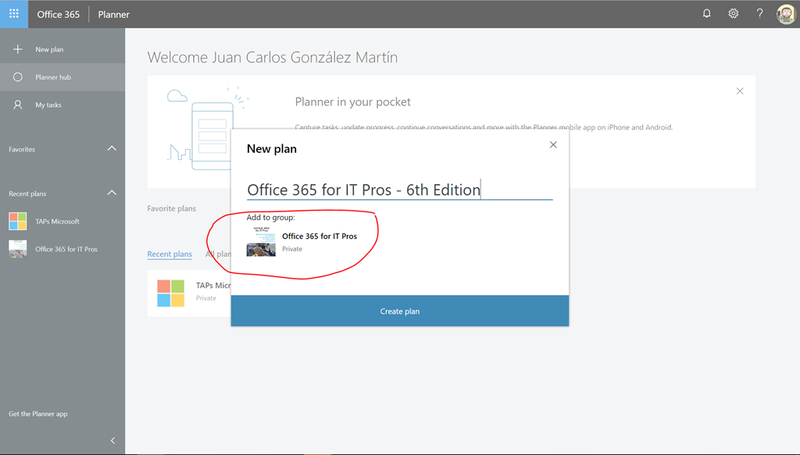 Once you clic the “Create” button, you will see in the “New Plan” window the regular options to create a Plan and also a new “Add to an existing Office 365 group” link. 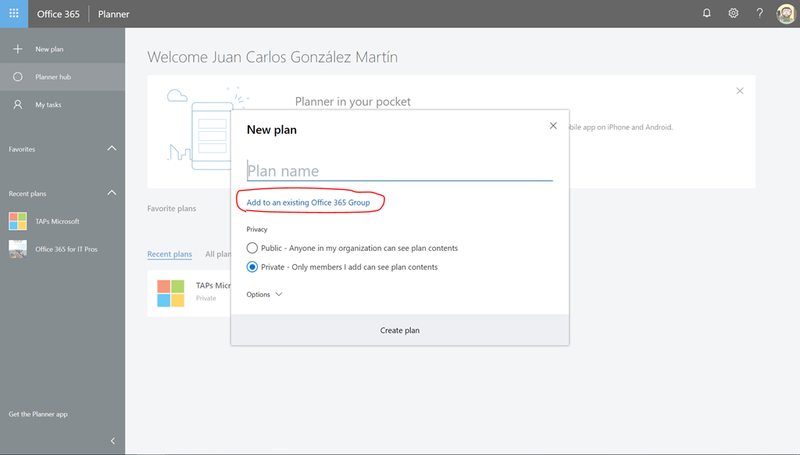 This link allows you to choose an existing Office 365 Group, so when you go back to the “New Plan” window the Group is shown there and you can proceed to create the Planner Plan. Office 365: Soporte de varios planes de Planner en un Grupo de Office 365 (I)! En la ventana de creación de un Plan, además de las opciones habituales se mostrará un enlace de “Add to an existing Office 365 Group”.